growing demand for anti-reflective coatings and the steps recommended to add an anti-reflective coating to your current glasses. Perhaps the most well-known benefit of anti-reflective coatings is improved visual clarity. By eliminating reflections, anti-reflective coatings permit more light to pass through your lenses, thereby bolstering your visual acuity. Once you add AR coatings to your lenses, people will be able to focus on your facial features without the distraction of glare emanating from your glasses. Adding anti-reflective coatings to your glasses will make your lenses look virtually invisible. People will be able to see your face and expressions more clearly, improving your ability to engage with others around you. Anti-reflective coatings allow more light to pass through your lenses while eliminating distracting reflections of light. The end result is reduced strain on your eyes. They are an excellent option for people who work long hours analyzing data on a computer screen or who have difficulty viewing paperwork or data without squinting. A lesser-known benefit of anti-reflective coatings is their ability to help you establish better eye contact with other people. AR coatings achieve this with their nearly invisible appearance and their ability to draw more attention to your eyes. As a result, anti-reflective coatings are often sought by public officials outside sales professionals, and other individuals whose livelihood is dependent upon their ability to communicate well with others. Who can benefit from an anti-reflective coating? Zeiss and other eyecare experts point to the many advantages AR coatings offer truck drivers and other frequent distance drivers. They highlight the negative impact that fog, blinding sunlight, and reflective roads can have on a person’s ability to navigate roadways, and recommend AR lenses as a viable solution to challenging driving conditions. 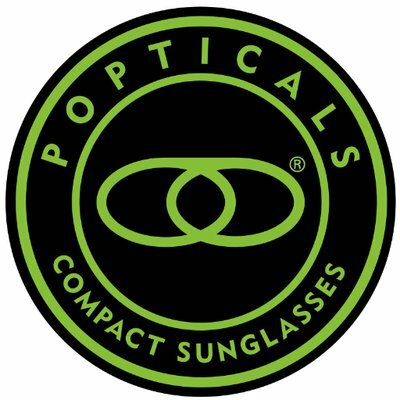 rs and data analysts that Amazon and other e-commerce giants are referring to glasses that contain AR coatings as “Computer Glasses”. AR coatings can help prevent blurred vision and headaches by counteracting the brightness emitted by computer or laptop screens. i-reflective coatings on your current classes? Yes. However, before exploring the process of adding coatings to your existing glasses, you should understand that a better alternative is to have the AR coating applied when lenses are cut. Eyewear experts agree that this is the best way to achieve optimal quality by reducing the likelihood of scratches and flaws. In addition to yielding a flawless product, you can save a significant amount of money by having the coating applied when a new set of lenses is cut. How can you add an anti-reflective coating to your current glasses? If you are attached to your existing glasses and are interested in having an AR coating applied to them, you can increase the likelihood of flawless application by following some key steps and enlisting the help of an industry expert. Below are three steps that are critical to follow if you are going to attempt to add an anti-reflective coating to your current glasses. As outlined above by Dr. Agarwal, you can quickly tell if your glasses have an anti-reflective coating by noting the color of the reflection when you tilt your glasses. If your glasses already have an anti-reflective coating, then there is no need to go through the process to have a coating applied. You already have the technology built into your glasses. This is a critical step in the process because the application of the coating can trap any dirt, dust or other particles under the coating, disrupting the chances for a smooth finish. You can clean your lenses at home prior to this process with a mixture of warm soapy water. Remember to carefully dry your lenses with a clean, lint-free cloth. If you are planning to enlist the help of a trusted optical laboratory to handle the application of your coating, they will ensure that your lenses are professionally cleaned prior to the application of the coating. As illustrated above, the professional application of an AR coating is a detailed process that requires industry expertise. Notably, there are other options available for eyeglass wearers who prefer to try to apply AR coatings themselves. For instance, some “do it yourself” enthusiasts attempt to apply coatings using spray or dipping methodology. Unless you have years of experience working in a professional laboratory, these methods of application are usually not warranted and can produce undesirable results. The key to success with Step 3 is to seek the expertise of a dependable laboratory that will work directly with you instead of distributors or outside labs. Ideally, the lab you choose for guidance should possess decades of experience in the eyewear industry and can provide valuable insight into the coating application process. 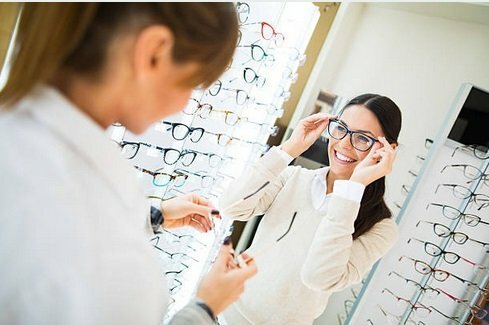 They can evaluate your existing glasses and offer feedback regarding whether your glasses are suitable for the AR application process. Finally, a top-notch lab will ensure that your lenses contain the highest quality coatings to promote longevity of your glasses. As outlined above, anti-reflective coatings offer a host of benefits to people who wear glasses. In addition to improving visual clarity, they minimize eye strain and enhance your physical appearance. Anti-reflective coatings also offer flexibility, as they can be applied to your current pair of favorite sunglasses or applied to lenses immediately after they are professionally cut. As more eyeglass wearers discover the many benefits of AR coatings, the range of coating options will continue to grow and evolve. We invite you to contact us to learn how we can help you enjoy the many benefits of an anti-reflective coating. 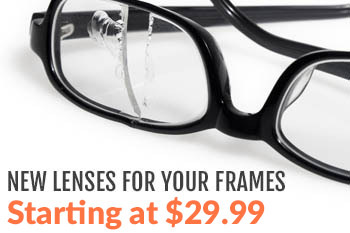 At MyEyewear2go, you can choose from an extensive array of AR coatings for your glasses. All of our lens coatings are designed to bolster the performance of your lenses as well as your visual acuity. We are also pleased to offer many layered styles, enabling you to achieve the exact lens specifications you are seeking. Our seasoned eyewear professionals are dedicated to providing you with the eyewear of your dreams. We look forward to helping you optimize your vision!